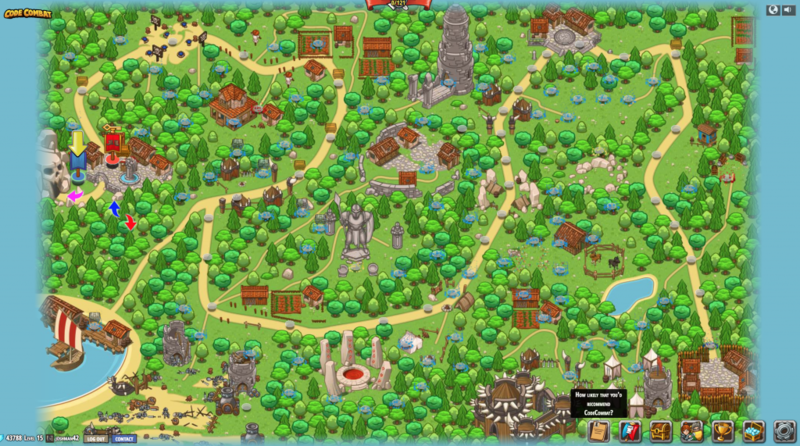 It all starts with a world map, where completion of dungeons unlocks subsequent dungeons. Each dungeon covers different coding topics, building on the previous dungeon. You are guided through each dungeon task by task. Each task builds on the skills used in the previous task. 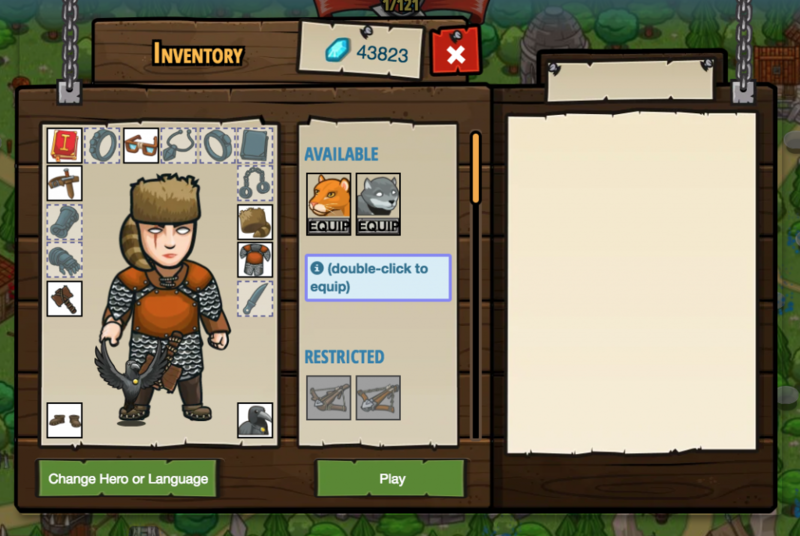 Upon choosing a task, you are then directed to a screen where you can pick and equip a hero. 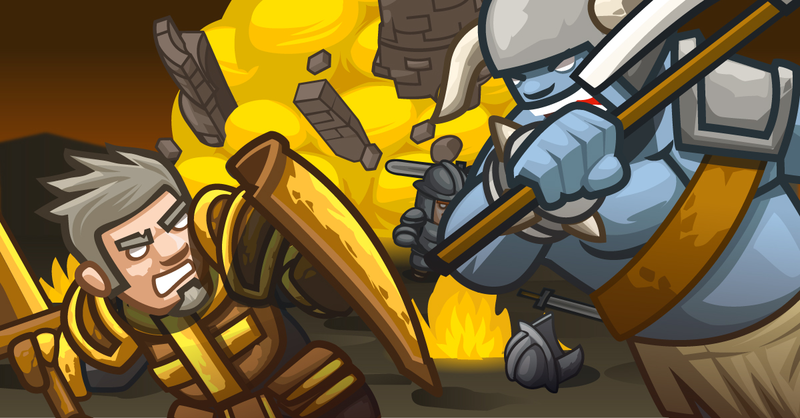 Equipment is either awarded to you upon task completion, or can be bought using gems, which you earn for finishing tasks. Some equipment unlocks additional methods, or allows you to complete tasks faster. 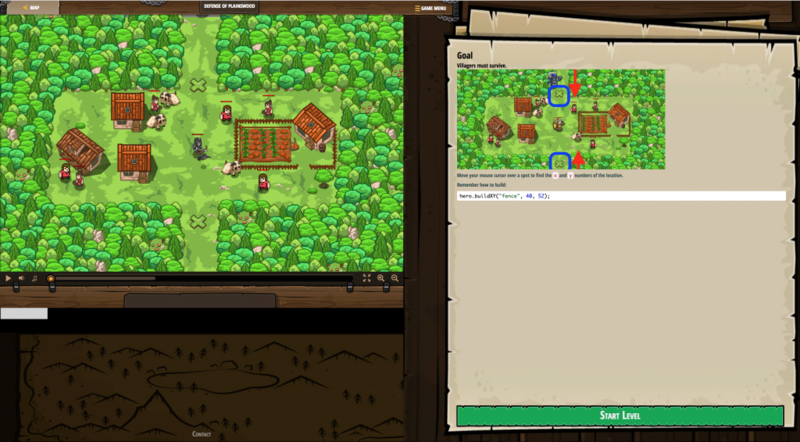 After choosing your character, the next screen gives you the task map along with the stated goals, which describes the code that will be needed to complete the task. In the next screen you are again provided the visual map, along with the available methods that can be used within the task, and a window within which you code your solution. 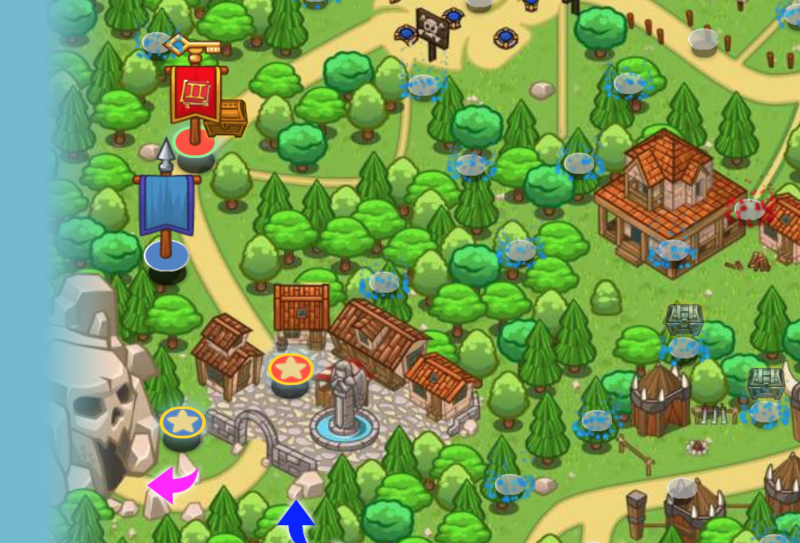 Upon successful completion of the task, you are awarded experience points, gems, and sometimes items. Upon continuing, you return to the dungeon map where more unlocked tasks await you. You can choose one of the uncompleted flagged tasks, or a previously completed colored task for additional reinforcement. Future tasks are greyed out and cannot be chosen until unlocked. 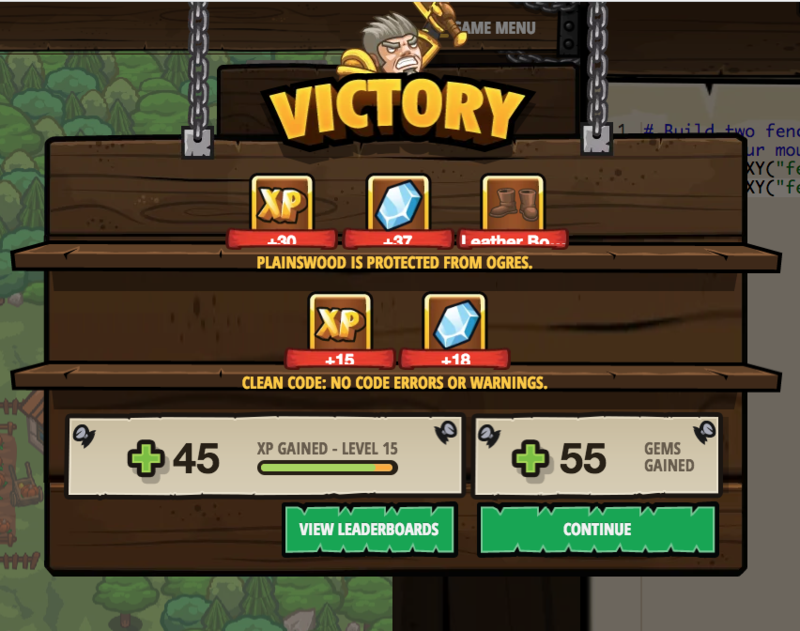 All images courtesy of Codecombat.